Elevation Capital has offered a formal internship programme since 2011. This has seen internships offered to a range of students from universities around the world. An internship with Elevation Capital is based solely on individual merit and we encourage students to apply via the following link with an introductory letter, current CV and any research they may have undertaken on the broader capital markets or on historical events (this can be for academic purposes or personal use). We also strongly encourage students to apply that are not undertaking a finance/economics specialisation as we believe history and social sciences are extremely applicable to our business as well. However, we will flag that we require a high standard of written and oral communication so please bear this in mind when writing the introductory letter (and any other communications) to us. We accept internship applications throughout the year and typically have one internship position in the December/January period each year. Warren is a sophomore studying Economics and Computer Science at University of California - Berkeley and graduated as part of the Dean's List from Auckland International College in 2017. 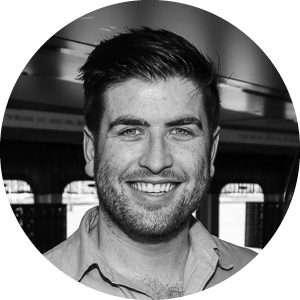 Warren is passionate about education - he founded Gyropad in 2015 to alleviate paper wastage in Auckland and improve education on recycling processes in the New Zealand educations system. He continued to promote education in Berkeley where he lead FLEJCON - a platform promoting financial literacy and economic justice in the Bay Area. At Berkeley he is a Senior Consultant for Venture Strategy Solutions, providing strategic consulting for Bay Area companies. He recently advised Driver Inc. - a cancer solutions application backed by Li Ka Shing - on their product launch and market penetration in both the US and Chinese markets. Jeffrey was a summer intern in 2017 after his first year of study at Duke University, where he was studying Economics and Computer Science. During his time at Elevation Capital, he produced a comprehensive equity research report, developing his skills in industry research and financial analysis. Beyond this, Elevation Capital provided Jeffrey his first exposure to working full-time in a professional environment. Jeffrey will be joining Bain and Company in their New York office as an Associate Consultant Intern this Summer (2019), where he intends to stay post-graduation. Ben Friedlander was an intern at Elevation Capital from December 2015 to March 2016. Ben joined Elevation Capital full time in March 2016. Ben is graduated from Auckland University with a Bachelor of Commerce in Economics. Kedian Sun was an intern at Elevation Capital from December 2014 to January 2015, whilst he was pursuing his Bachelor of Science in Economics with a major in Finance at the Wharton School of the University of Pennsylvania in the United States. Sean Bird began his internship in 2014 during the summer of his final year of studies at the University of Canterbury (Law and Economics). Andrew began his internship with Elevation Capital in August, 2013 during his final year at the Auckland University of Technology (AUT), where he attained a Bachelor of Business majoring in Finance & Economics. Andy was an intern at Elevation Capital during 2012, where he learned about both investment and investor relations at a global equities fund. Andy founded Qupital in 2016, a leading Hong Kong trade finance platform linking businesses with professional investors. Qupital has handled over 1 billion Hong Kong dollars in transaction volume as of 2018 and has raised funding from investors including Alibaba and MindWorks Ventures. He oversees Qupital's technology, strategy and partnerships. Andy has also worked at ANZ in Hong Kong and helped to develop an innovative legal technology platform in Denmark. Andy studied Economics and Computer Science at Brown University and was the dux of Rangitoto College in 2009. Theo Helyer began his internship at Elevation Capital in July 2011 after having served as President for the University of Auckland Investment Club whilst completing his Bachelor of Commerce.